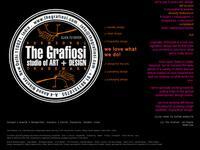 Satori Design of Colorado Springs has over 15 years experience in graphic design. They have expertise in creating: logo design, corporate identity and graphics, stationery systems, brochures, presentation systems, advertising, newlsetters, announcements, invitations, signage and sign systems, annual reports, web design, project sheets, flyers, postcards, etc. ImageStudios is committed to the higest level of result-driven creative marketing design and Web development, and provides nationally-recognized graphic and Web design to support your marketing efforts. 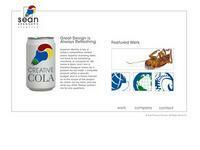 This firm specializes in brand design, websites and multimedia for both print and Web. This creative design agency in Colorado Springs provides branding, affordable logo design, digital illustration, print and web graphics, pre-press, prepress, production, photography, typography, website design, production design, corporate identity, branding, brochures, mailers and more. THINK HORSE is a full service new media design firm. From the latest in interactive media technology to the most traditional printed materials, THINK HORSE has the capabilities to bring your marketing plan to life. XPress Printing - Colorado Springs Printer - Centrally located - Phone: 719-473-5788 - "Making Impressions is their Business!"